I remember seeing Goss race at oran Park and it was impressive. Falcon motors were not the norm. 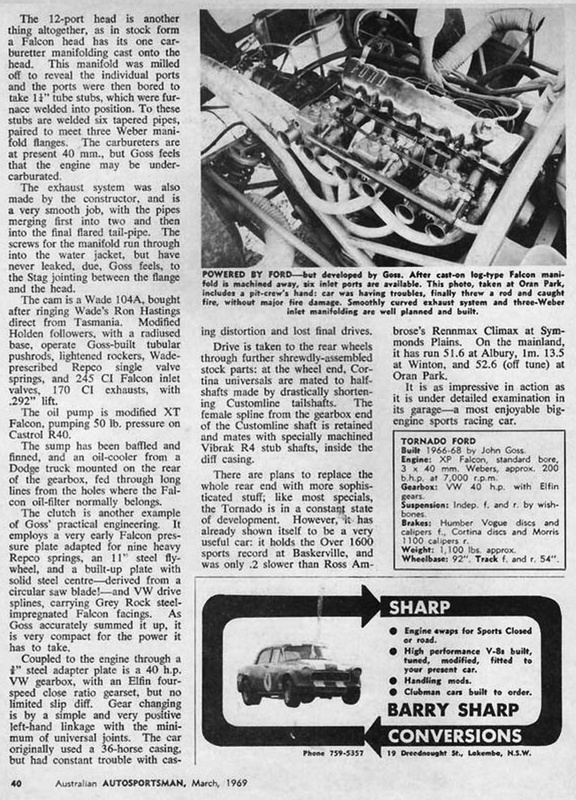 It was an odd choice but he was very much a Ford man- and claims a big difference in weight of the FoMoCo motor compared with a Holden-Red 6, so no doubt figured blazing a development path with the engine was worthwhile. Apparently the car still exists, it would be great to see it in historic racing one day. 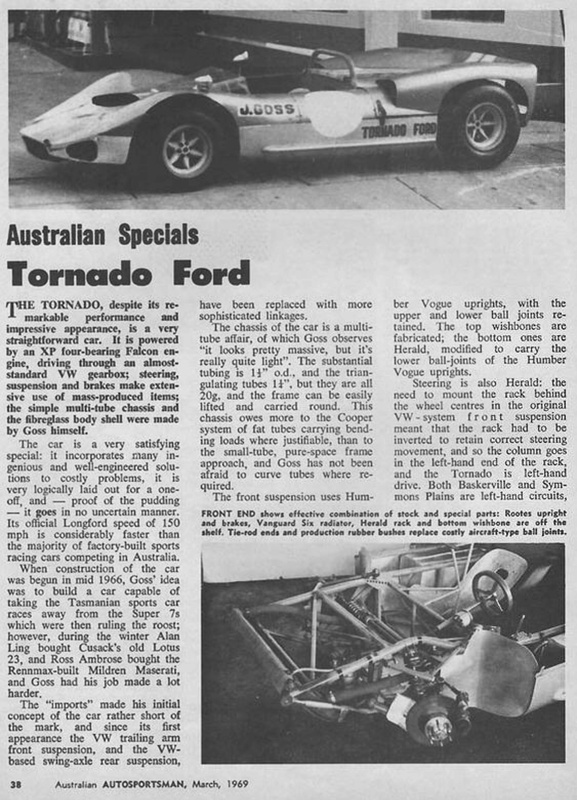 The Tornado Ford was an engineering masterpiece. A truly remarkable and successful backyard special. I didn’t realise until relatively recently what a talented engineer/mechanic Gossy was. The Tornado under the skin may not have been the prettiest of things but it was certainly fast and achieved his primary aim of ‘getting a leg up’- he was certainly noticed by those who could spot talent. 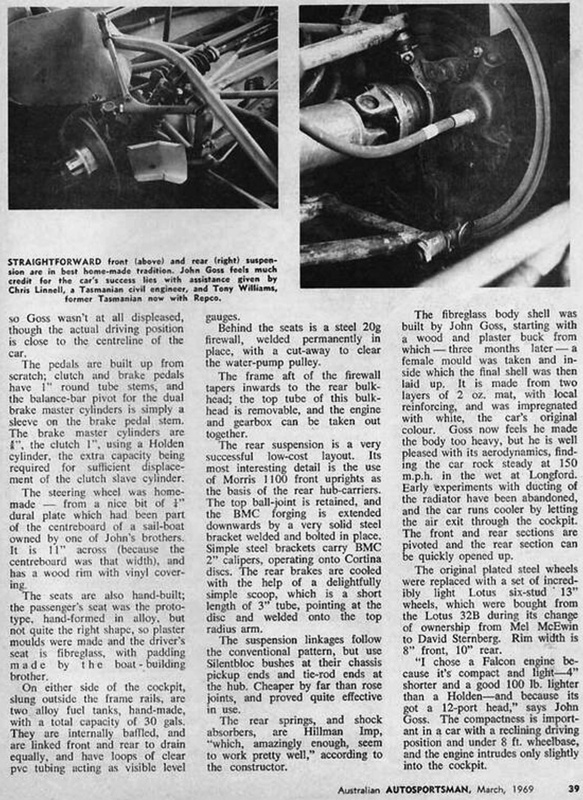 According to the Longford report in Racing Car New, the Monday 10 lapper for Sports Cars started in drizzling rain with Cook’s Elfin Repco a non-starter and Amon’s Ferrari P4 wheeled off the grid with a flat battery. The Ferrari got underway two laps down. 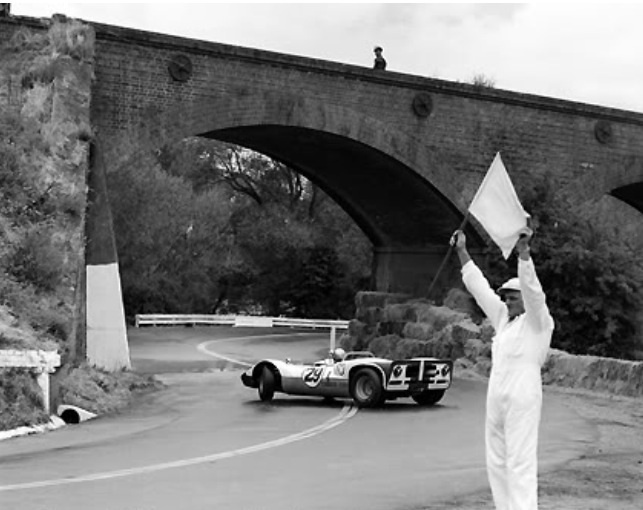 Peter Macrow (Argo Chevrolet) won the race from Glyn Scott (Lotus 23) and Amon, with the latter achieving a flying eight speed of 178 m.p.h.! In the wet! Goss is mentioned in the report as pitting and rejoining one lap down. I’ll update the caption in the next couple of days. Chris won on Saturday in the P4? But not the Dino! 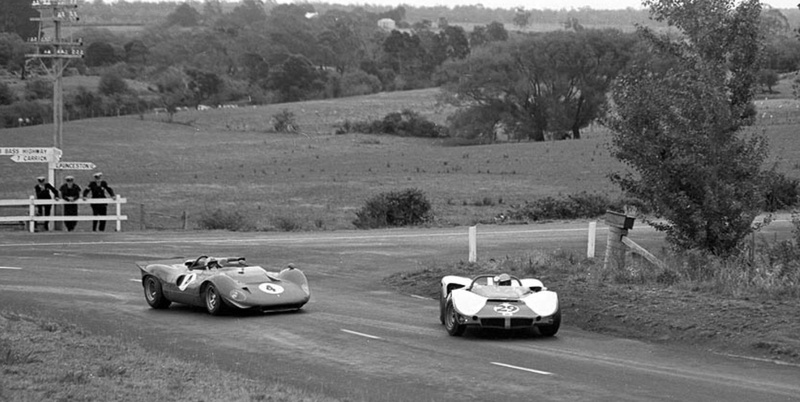 Yes, Chris Amon won the 10 lap “Abbotts” Sports Car Scratch Race on the Saturday in the Ferrari P4 with Ian Cook second in the Elfin Repco V8 and Peter Macrow third in the Argo Chevrolet. 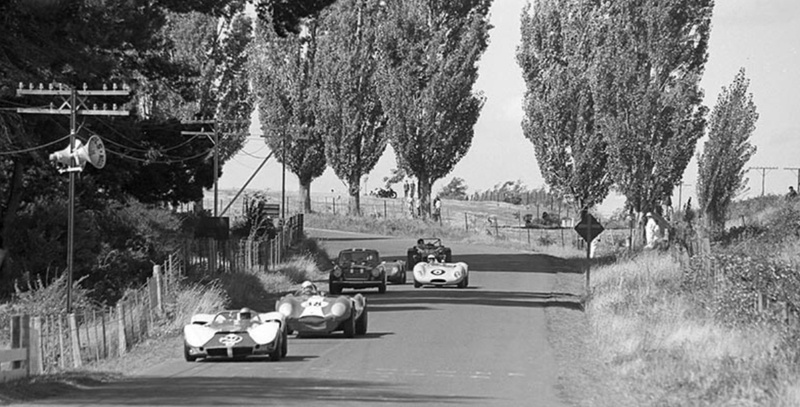 Amon also set a new OUTRIGHT track record in that race with a 2:12.6, undercutting Jim Clark’s record of 2:13.0 with the Lotus 49, set earlier in the day during the 12 lap “Examiner” Scratch Race for Tasman cars. Not bad for a Sports Car, albeit with a couple of extra litres to play with. Yes Rob, pretty amazing, I’ve been researching Longford all week. An article with a lot of pictorial content focussed on the track itself and it’s nuances- there are far more turns than the maps actually show. 122 mph average is amazing also given how narrow much of it was, and that CanAm 350 was a big bit of real estate! Was this the Ferrari ex-Tasmanian Paul Hawkins owned for a period and raced in Aus. and South Africa?